Jad Adams looks back to a time when, wracked by industrial decline, a nation embraced the world’s first supersonic airliner. 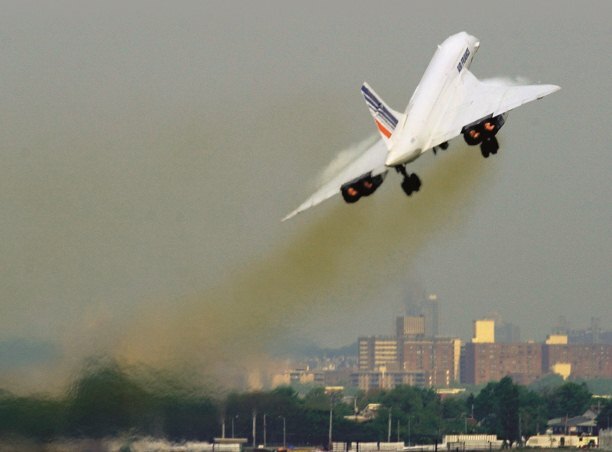 In December 1971, around the coast of Britain and in the south of the country, people could look up to see the test flights of Concorde, the world’s first supersonic passenger aircraft. With its elegant ‘slender delta’ lines it was as though the Skylon sculpture from the 1951 Festival of Britain or a Dan Dare spaceship had taken to the air capable of flying at twice the speed of sound. It was truly the shape of the future – and that was part of its problem. America dominates the civil aircraft market, we in Britain want to be in it, we the French want to have a stronger stake in it, let’s take the next leap. Let’s go to the supersonic transport ... We can take this great leap, we will be in the vanguard again and everybody will always pay for speed.